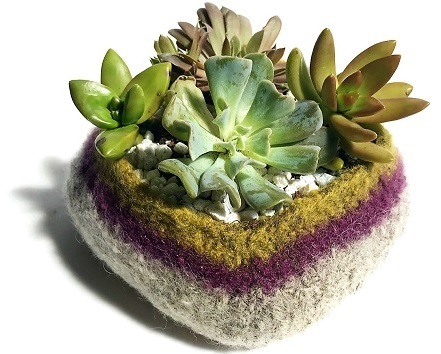 Felt and plant a Succulent Pod; plus, learn all about succulents with Jessie from Planthropy, while helping out a great cause! All proceeds go toward our favorite place, Flying Horse Farms. Workshop on planting, care and propagation of succulents. All plants and materials included. Light refreshments will be served. Call the studio to register 614-670-5629.
previous post: Spring StitchEscape, March 17-19, 2017! next post: Presenting Ann Budd, Oct. 17-18, 2017!